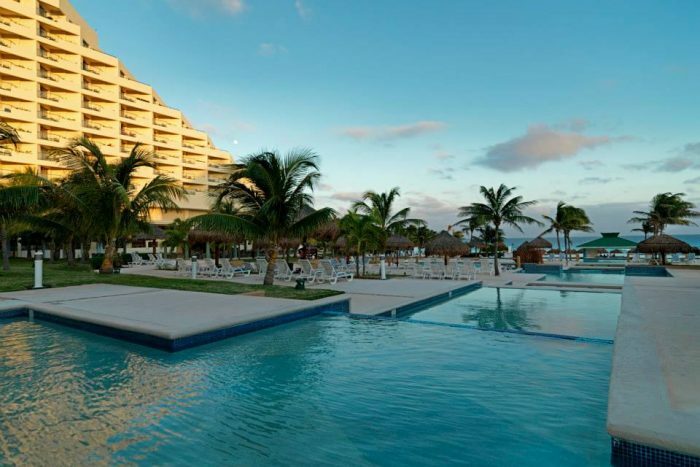 The Iberostar Cancun is equally attractive to both couples and families, offering a laid-back and relaxing atmosphere. 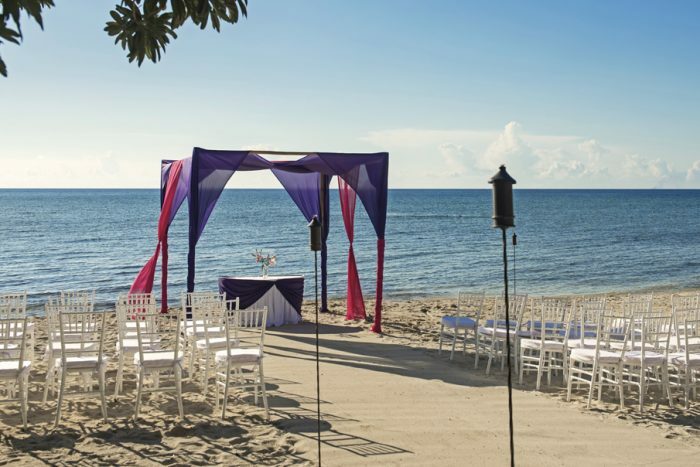 Situated along the Nichupte Lagoon and the Caribbean Sea, this resort offers incredible views of the turquoise waters and white sand, setting the perfect scene for your wedding ceremony. This resort is uniquely shaped in the form of a pyramid so all guest rooms include ocean views, and you have the choice to watch the beautiful sunsets from the comfort of your own room. There are also villas in the garden that offer beautiful views of the local flowers and plants. Adults can now choose to stay in the Iberostar Star Prestige Club, an exclusive adults-only wing with private pools, lounges, modern rooming acommodations and much more. 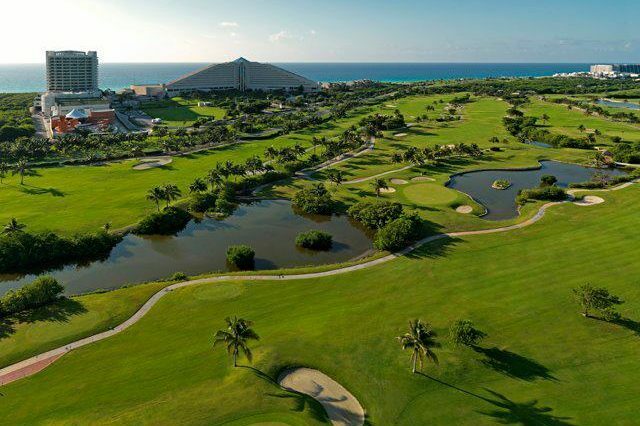 This resort is a sports lovers dream with a FIFA Regulation Soccer Field and an 18-hole championship golf course on-site. This resort has just announced that they will be expanding their property by adding a new 13-floor tower! Given the size of the property, every restaurant on the property requires reservations, including the buffet area. Beach – 300 guests max, Garden – 300 guests max, and Ballroom – 300 guests max. The resort will host no more than 1 wedding per day, Monday thru Saturday. Ceremonies can be held at anytime, but wedding coordinators recommend around 5pm. Rooms range from $170 – $215 per person per night. Every room includes wifi and a minibar. All room categories besides the ocean view suite, swim-out ocean front villa, and presidential suite include access to the spa wet areas. Children ages 2 and younger stay free. There are 426 total guest rooms with views of the ocean or garden. Certain room categories are oceanfront. Handicap accessible rooms are available upon request. All rooms allow up to 2 adults and 2 children max, or 4 adults. Children are ages 12 and younger. Iberostar Cancun is located about 9 miles from the CUN airport. The resort is about 30 minutes outside of downtown Cancun. There are 426 total guest rooms with views of the ocean or garden. Certain room categories are oceanfront. Handicap accessible rooms are available upon request. Guests receive exchange privileges to numerous other Iberostar properties in the area from 9am – 6pm. 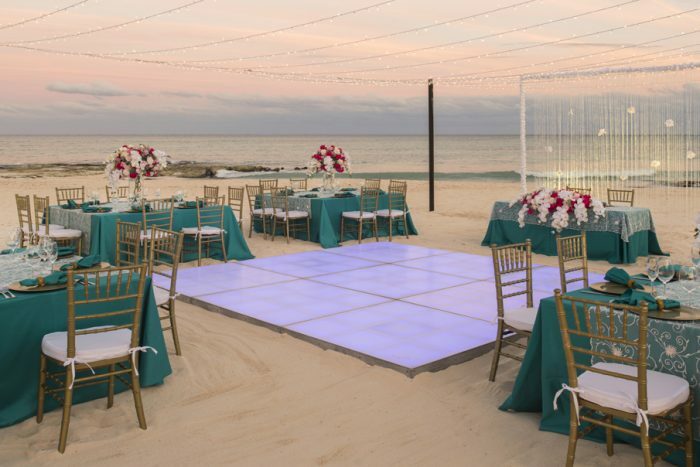 Q: What makes Iberostar Cancun such a great place for a destination wedding? A: Since we offer only 1 wedding per day, we offer quality and lots of attention for the couple and wedding that day. 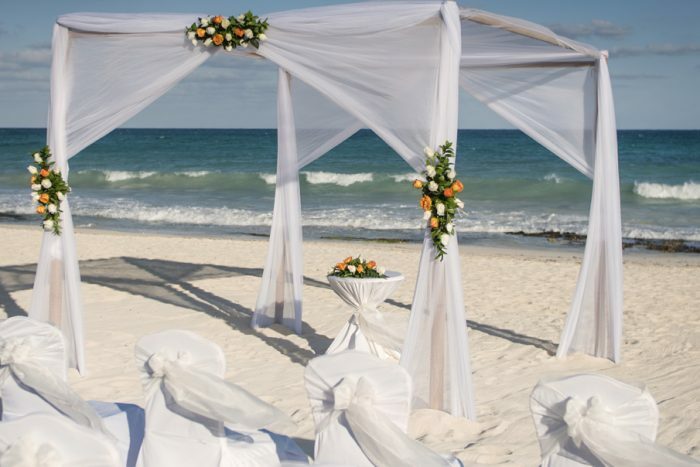 Q: What are the challenges brides face when planning their destination wedding at Iberostar Cancun? A: The wedding date may not available since we only host 1 wedding a day. A: The day of the Wedding when you see the bride happy, and how pleased she is with the work!